When a little bird awakens to find that all of his friends and family have gone south for the winter, it takes a surprising friendship with Mooch the cat to help him find his way. In this wordless story that appeals to all ages, the quiet language of sharing and comfort is all that is needed for these two species to communicate. 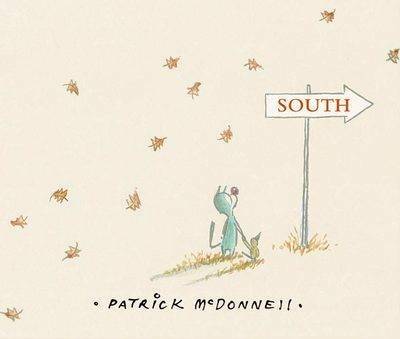 Painted in a warm, elegant brushwork style inspired by Japanese art, the fourth book featuring Patrick McDonnell's characters from his Mutts comic strip is a simple yet profoundly moving journey about being lost and found, crossing boundaries, saying goodbye and broadening horizons.